So are you ready for a little shopping in Hershey, PA? Here you can shop till you drop! There are many great shopping opportunities local to the Hershey area. Hershey, PA shopping is great for residents and our guests. There are many fine local independent merchants located throughout the Hershey area. We have several mini-malls and a wonderful outlet center. Let your imagination run wild! Specialty clothing shops, gift shops, outlets, toys, jewelry, fresh produce, antiques, bakery items, and photography. Oh my, the list goes on and on – until you drop! After you’ve finished shopping, explore Hershey, PA attractions, and activities near Hershey Park. We have two floors filled to the brim with quality antiques and collectibles at reasonable prices. Please stop in! 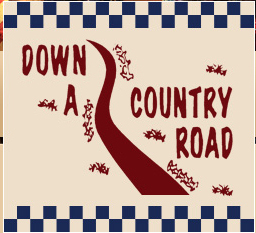 Come explore an 11-room Country Shop, 2 floors, Many Items made on Site, cc accepted,call as hours vary w/ season. Also 55 flavors of Soft-serve available in our ice cream shop (open May-Sept). Take a walk down memory lane with our vintage collectibles, unique metal creations and Annie Sloan Chalk painted furniture. At Tanger, we’re committed to bringing you the ultimate shopping experience. For us, that means guiding you towards the best deals at your favorite designer and brand-name stores. And, thanks to our partnerships with leading fashion industry experts, we can bring you up-to-date fashion reporting on the latest trends. 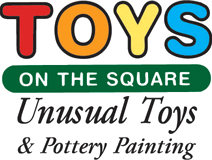 Toys On The Square is a brick and mortar small, locally owned and operated specialty toy store in Hummelstown, Pennsylvania, that has been in the business of putting smiles on the faces of children and adults of all ages for over 25 years. As we hand-select our inventory, we specifically look for toys that inspire a creative imagination and an active mind and body, which means you won’t find video games on our shelves. Wears Like New, with integrity and professionalism, strives to provide quality, in style consignment clothing in a clean environment for a guaranteed value.